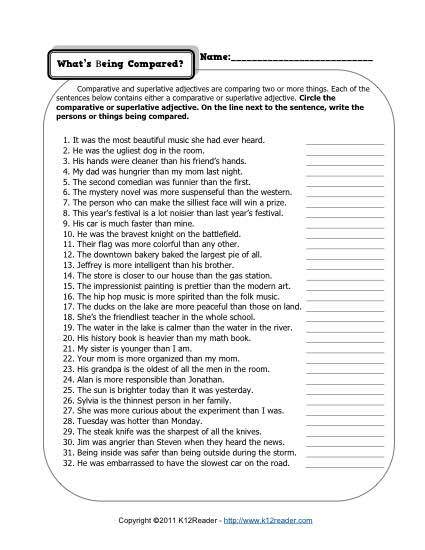 Your student will circle the comparative or superlative adjective in each sentence, then identify the noun it modifies. It’s great grammar practice for 3rd grade Conventions of Standard English for Common Core Standards. The worksheet may also be used with other grades as appropriate.